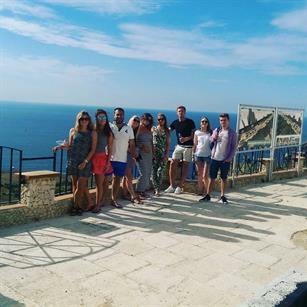 Malta Tourism Authority hosted a group from C&IT's 2015 A List from 16-19 October for a luxury incentive trip to the Mediterranean island. 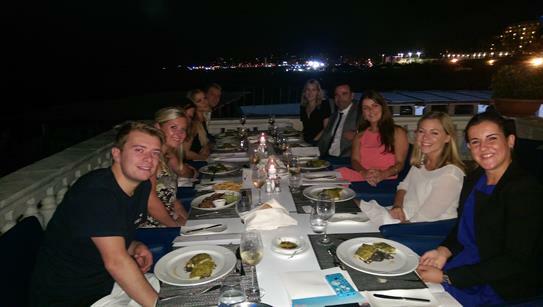 C&IT A Listers from the likes of George P Johnson, Team Spirit, CWT Meetings & Events and AOK Events travelled with C&IT to Malta for four days of exploration, excursions, and plenty of eating and drinking. 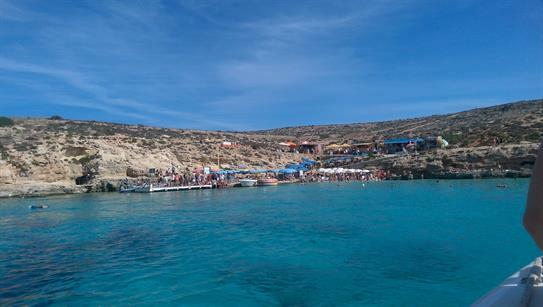 The group was hosted by Malta Tourism Authority, who has sponsored the C&IT A List for the last three years, with four of the island's five-star hotels providing accommodation over the course of the trip and a jam-packed itinerary provided by local DMC EC Meetings. The trip kicked off with an opening dinner at the Westin Dragonara Resort at the hotel's Quadro restaurant, overlooking the sea. The next day, the group were in prime position to see the beginning of the Rolex Middle Sea Race, which saw dozens of competing yachts from around the world set sail out of Malta's Grand Harbour for the 606-mile-long competition. After a short walk through Valletta, Malta's capital city, the group donned aprons and hair nets to practice the art of traditional Maltese bread baking, with the end product being served for lunch. The rest of the afternoon was spent exploring the historical quarters of the city before the Hilton Malta Hotel provided an evening dinner, enjoyed with local wines. The A Listers left the shores of Malta's main island the next day via a high-speed boat to Gozo, a quiet island home to a collection of boutique hotels, historical chapels and quaint vineyards. Jeeps transported the group from Gozo's harbour to some of the island's top landmarks including the Azure Window, a 100ft tall ancient rock formation, and the filming locations of a number of famous Hollywood movies. A quiet lunch in the countryside was then served at one of the island's vineyards. A final dinner was hosted at Corinthia Hotel St George's Bay's Caviar and Bull restaurant, which is fronted by esteemed head chef Serge Huerga, before one last visit to some of Malta's local bars and clubs. The group enjoyed a quiet morning visiting Mdina in the northern region of Malta before the flight back to London Heathrow yesterday afternoon (19 October). The group stayed at the Radisson Blu, Malta St Julian's hotel, as well as the Hilton Hotel Malta, Westin Dragonara Resort and Corinthia Hotel St George's Bay.